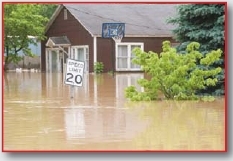 When a plumbing system fails or rain infiltrates your home or business, response time is crucial. Water that is not immediately removed can destroy furniture, floors, walls and building materials causing damage to your entire house or building. Prompt cleanup also reduces the chance of odors and mold growth. Citywide Restoration delivers immediate, reliable service by experienced, certified technicians. Our professionals - on call 24 hours a day, 7 days a week - will handle your emergency water damage quickly and effectively. water from your carpet, padding and hard floors. method of drying to ensure fast drying times.